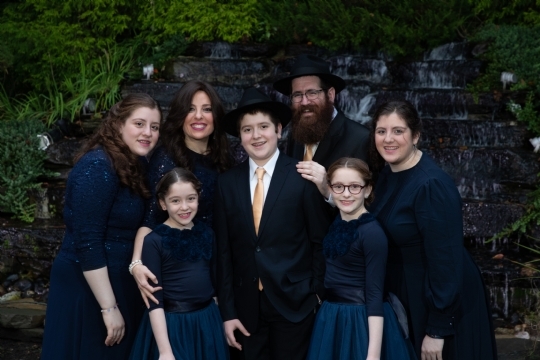 Rabbi Mendy and Devora Lewis together with their children Mushka (17) Bluma (15) Yossi (13) Sara (11) and Shaina (9), live in Old Tappan, NJ where they established the Chabad of Old Tappan in September 2006. Chabad of Old Tappan services the Jewish communities of Old Tappan, Norwood, Harrington Park, Northvale, Rockleigh. Chabad is an international Jewish organization with over 3,000 institutions world-wide, inspired by the teachings of the Lubavitcher Rebbe, Rabbi Menachem M. Schneerson. We are dedicated to serving the Jewish community with warmth, joy, and unconditional love and acceptance for every Jew regardless of affiliation or level of observance. Our philosophy is that Torah must be presented and experienced in a modern, relevant context and made available to each individual on their own level. Our mission is to promote and strengthen Jewish awareness, pride, and observance, by providing educational, cultural, and social activities in a joyous and casual atmosphere. 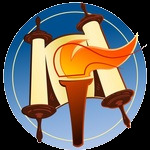 Shabbat Services and Dinners | Holiday Programs | High Holiday Services | Hebrew School | Adult Hebrew School | Bar/Bat Mitzvah Training | JLI - Jewish Learning Institute | Lunch ‘n’ Learns | Workshops & Lectures |Women’s Event | Youth Activities | Jewish Enrichment Programs | CTeeN - The Jewish Teen Club | Hospital and Nursing Home Visitations | Senior Activities | Kitchen Koshering | One-on-One learning | Mezuza & Tefillin Services | Shiva and Kaddish Services |Wedding and Bar/Bat Mitzvah Officiating |Counseling ...and much, much more! Rabbi Lewis grew up in London, England. He graduated from Rabbinical College of America in Morristown, NJ with a BA in Talmudic studies. He then continued his studies at the Rabbinical College of Australia and New Zealand and received Rabbinic Ordination at the Central Lubavitch Yeshiva in Brooklyn in 2000. Devora grew up in Long Beach, CA. and graduated with honors as well as the Presidential Gold Award for academic excellence. She graduated with a Teaching diploma from the Bais Chana Institute of Melbourne, Australia and a teaching degree from the Beth Rivkah School in Brooklyn, NY. Devora has since been a teacher in a variety of schools in Manhattan, Long Island and Staten Island. In 2001 the Lewis’ were appointed as the directors of the Chabad Hebrew School, Summer Camp and Teen Club and part time teachers in Port Washington, NY. Over their five years in Port Washington, Rabbi Lewis and Devora attracted, educated and inspired a hundreds of adults, teens and children from all kinds of backgrounds and levels of observance. Amongst the regulars at Rabbi Lewis’ weekly Talmud class were members of local reform and conservative temples. Over the past 18 years the Lewis' have taught hundreds of adults, teens and children and Rabbi Lewis has successfully trained more than a hundred and fifty children for their Bar and Bat Mitzvot. Rabbi Lewis and Devora are a warm, caring and energetic couple who are loved and admired by all who meet them.